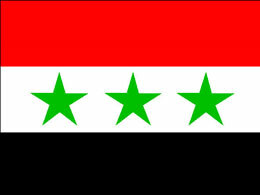 Iraq is without a doubt a nation on the rise. In just a couple of years an entire decade will have passed since the terrible regime of Saddam Hussein was ended by US forces. Since then Iraq has been rebuilding at a frantic pace, and now the results are starting to show. A key point for the continued growth and survival of Iraq's economy is the input of foreign investors, and some speculators feel that now is the perfect time to jump abroad the Iraqi investment bandwagon and hurtle down the road to serious returns. It's that notion of high risk and high reward that excites the brave investor. With the moves that are currently being made by the once-ravaged nation, the risks that people perceive to exist may not actually be as big as suspected. Soon a decade will have passed since US Forces liberated the country from Saddam Hussein. The Iraqi government is now mounting an aggressive campaign to secure the foreign funding it needs, and foreigners are taking notice. Reports have emerged regarding the near-finalisation of a deal with Royal Dutch Shell thought to be worth around $12 billion. The deal will see a gas contract drawn up that, if confirmed, will encourage more significant investment in vital areas and serve to allay potential concerns of foreign investors. The Shell contract is thought to involve the redevelopment of an area of huge oil fields near Basra, this area was a powerhouse of oil production in the past, but the war led to its output being severely diminished. The nearby states of the UAE are currently amongst the biggest investors of foreign funds in Iraq, and thus they are playing an important role in Iraq's revitalisation. However, areas such as infrastructure and development are where the true opportunity lies. Improved infrastructure will pave the way for better developments elsewhere, so this is where investors can get involved. Deals such as the Royal Shell contract show that Iraq is indeed casting away the negativity of years past, and with such stride being made investor confidence is bound to follow suit. Learn more about Investing in Iraq by speaking to a recommended foreign investment specialist.